Yesterday marked the first ever successful trade on HYBSE Lesotho! The recent trading activity has increased the overall turnover. This is the first-ever trade on a 5 in 1 exchange using DLT (distributed ledger technologies). The 5 in 1 exchange consists of a digital equity exchange, clearing, settlement, custodian and money market platform. Our state-of-the-art product marks us down in history as first of its kind. Approximately 500 shares of HYBSE, out of the 1.5 million listed, were traded as of yesterday. The Krugerrand is a South African gold coin and was first minted in 1967 to promote South African gold, and was the world’s first coin explicitly aimed at investors rather than collectors. An investment in Krugerrands is essentially an investment in gold. 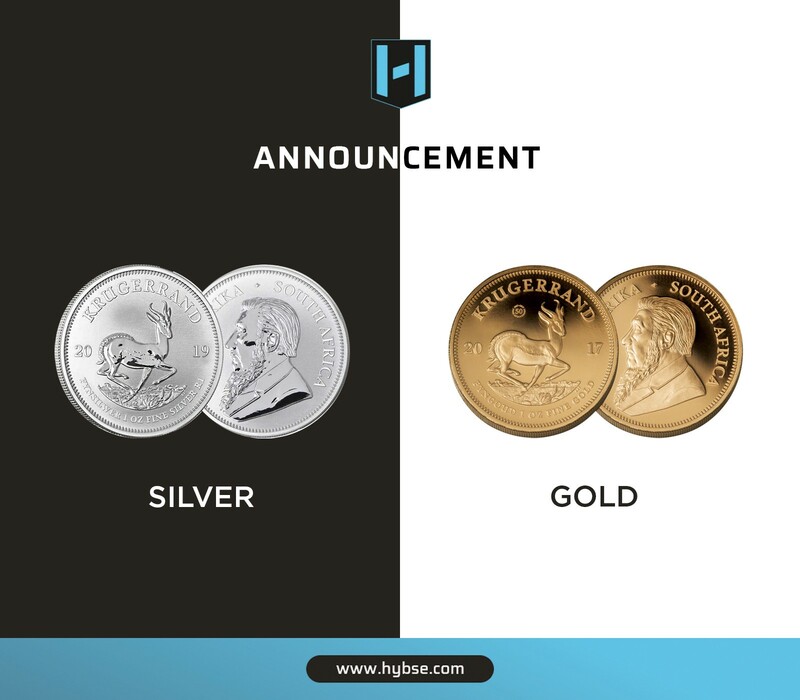 Krugerrands have legal tender status in South Africa, and now HYBSE offers to trade, both in silver and gold Krugerrands. One coin equates to one share and can be seen as a direct investment in gold bullion. ETC Diamond 101 combines the benefits of ETCs with the innovative power of distributed ledger technologies (DLT) to unlock the potential of diamonds as an alternative financial asset. An ETC certificate represents digital ownership of the diamond. By taking advantage of breakthroughs in DLT, ETC Diamond 101 will offer faster, more secure, transparent and convenient diamond trading that is accessible to participants of all levels of wealth and income. Additionally, KnowMeNow has launched its website. KnowMeNow is a KYC solution that uses a unique decentralised system that allows customers to easily upload various KYC documents, have them verified in real time and re-share their KYC documentation across multiple platforms, enabling instant on-boarding. HYBSE Lesotho is the first exchange platform to adopt a user-controlled KYC service that utilises encrypted user-controlled data. Therefore, we have taken an innovative approach to streamline the KYC process into one secure channel, enabling users to complete their KYC only once for all platforms. The KnowMeNow mobile app is set to go live on Google PlayStore on Monday 25th March 2019. HYBSE Lesotho is making good progress with a range of strategic initiatives that will strengthen and diversify the business further. We look forward to sharing additional listings as we move forward.